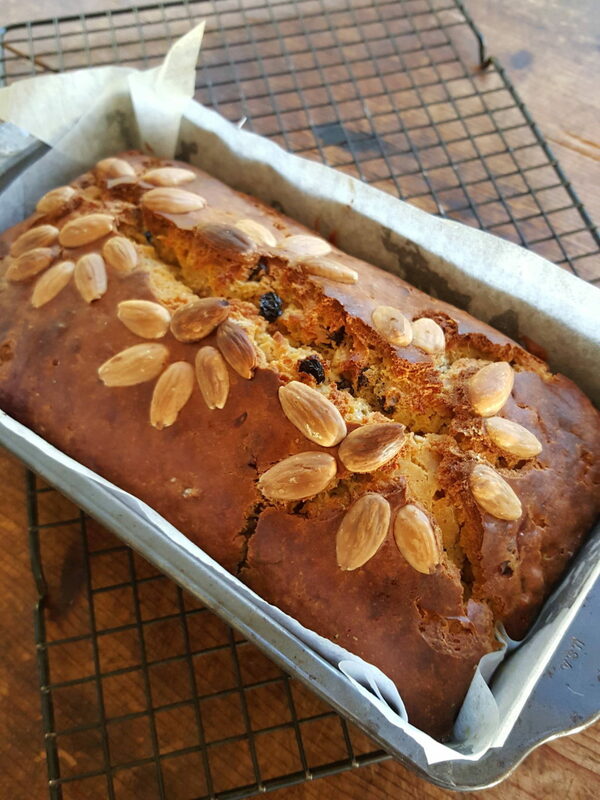 fruit & nut loaf – one of the best, and a good keeper. 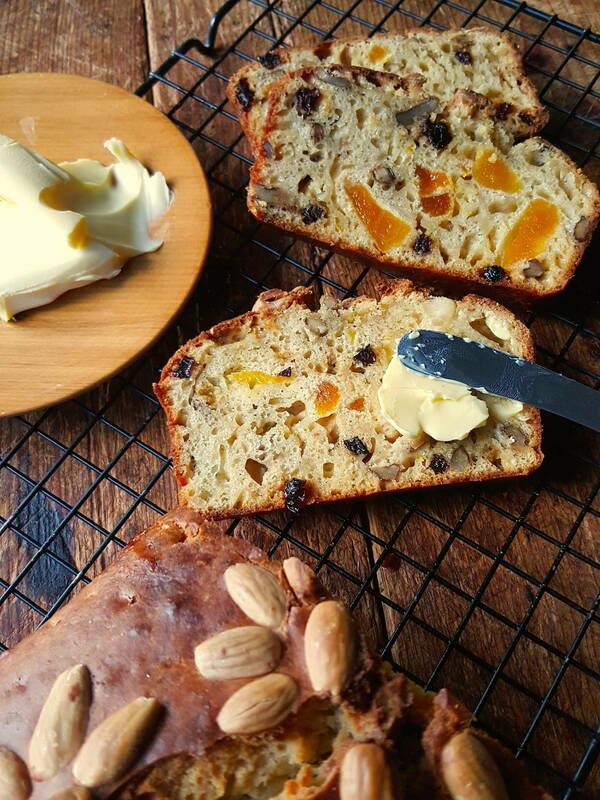 I’ve been making this fruit & nut loaf for decades and it still garners new devotees when I serve it up. The top cracks a little, but I don’t worry about that, as it gets nice and crusty and adds to the charm. It’s a good keeper, too. 1 Preheat oven to 180°C (350°F), setting a shelf just below the centre of the oven. 2 Sift flour, salt, baking powder and mixed spice together into a large bowl. Cut butter into cubes, then cut it into the dry ingredients with 2 knives, or a pastry blender. Stir through sugar, fruit, nuts and lemon zest. 3 Lightly whisk eggs and milk together and pour into dry ingredients. Stir just until mixed together. Spoon into a loaf tin lined with baking (parchment) paper (tin size approx. : 11cm (4½”) wide x 21cm (8-8½”) long by 6cm (2½”) deep). 4 Bake for about 1 hour, or until a skewer inserted in the centre of the loaf comes out clean. Cool loaf in the tin for 10 minutes, then carefully turn it out onto a cooling rack. Leave to cool completely before slicing (if you slice it hot, it will split). Serve sliced with butter on the side.